A dental decay or a cavity occurs mainly because of streptococcus mutans. The bacteria can be communicable and it is a contagious disease also. Any dental cavity starts with a single spot, then it may transfer to the adjacent teeth where the patient’s oral status is very poor and the deposition or food lodgement is very easy and it harbours the bacteria. Then it starts eating the carbohydrate which is present over the surface of the teeth. It will make a spot of dental decay or a cavity. Once it enters the dentin from the enamel and then it enters the pulp. 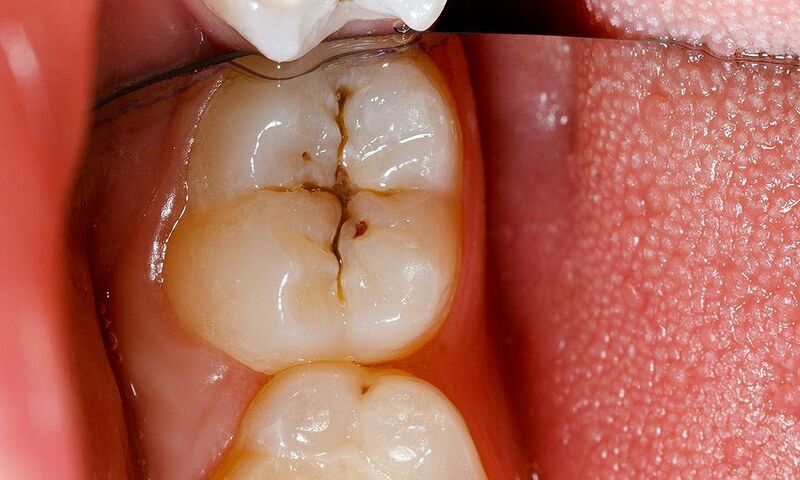 Once the cavity enters into the third layer or the pulp the patient may complain of pain, swelling, discomfort. At the initial stage the patient will not complain of any pain or discomfort. Once it enters the dentin the patient may complain of sensitivity and hypersensitivity or a discomfort or food lodgement over the surface of the teeth.